← Carrier Billing – Got to catch them all! It’s conference season again and last week it was the turn of Dubai who hosted the 36th GITEX (Gulf Information Technology Exhibition) event, which saw 4,000+ global technical leaders from 50+ countries converge on the city to talk tech. 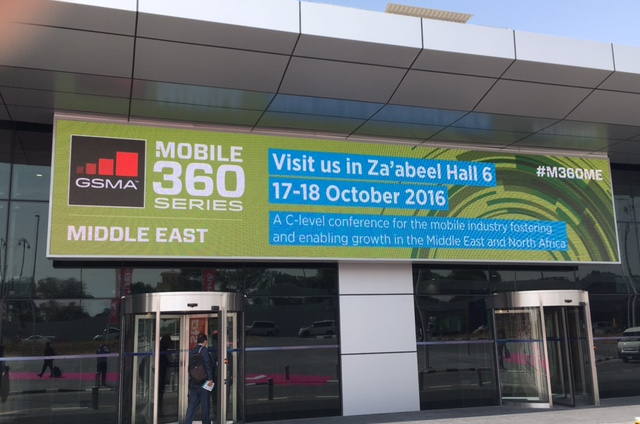 The GSMA took the opportunity to co-locate their highly successful “Mobile 360 Series” (essentially a mini Mobile World Congress Barcelona) following similar, recent events in Tanzania, Mexico and this week’s event in Delhi. Bango was invited to participate as a keynote speaker at Mobile 360 Series, co-presenting alongside UAE operator du Telecom in the OTT & Media session. The presentation focussed on the huge opportunity available to operators from launching carrier billing across the major app stores. du is live with carrier billing across Google, Samsung and Microsoft stores through the Bango Payment Platform. Therefore, it provides a great case study showing how app store carrier billing addresses the key challenge facing operators of how to turn the growing usage of mobile data services into increased and on-going revenues. Trevor Goldberg, VP Business Development at Bango tackled the myth that DCB spending in app stores cannibalises/erodes existing high-margin spending on core mobile services of voice, data and text. Noaf Ereiqat, Director Digital Services and DCB at du stated that carrier billing is a win-win option for operators and subscribers, increasing consumer spending. She highlighted the importance of post launch analysis to improve payment performance and ensure continuous growth of carrier billed revenue. The joint du-Bango presentation was well received and Bango’s thought leadership in this area resulted in some interesting discussions around the transformation of consumer behaviour from digital commerce during the post session networking lunch. GSMA Mobile 360 Middle East attracted a wide and senior list of attendees from mobile operators across the MENA region, including Saudi, Bahrain, Oman, UAE, Kuwait, Jordan, Qatar, Morocco, Egypt, Tunisia and Algeria. Many are partners of Bango, where we have launched DCB for Google, Microsoft, Samsung and BlackBerry, for example du, Etisalat, Ooredoo and Umniah. This entry was posted in app store, carrier billing, Mobile payments and tagged DCB, Mobile 360 Series, mobile commerce, mobile payments. Bookmark the permalink.